Women and men who struggle with hair loss are keen on trying almost anything to get their hair back. And in this search for a miracle cure, most of them usually overlook some more simpler hair loss treatment solutions like wearing wigs. Since hair loss is genetically inherited from either parent, special shampoos and related products are not as effective as advertized. In fact, hair replacement is the only permanent solution for hair loss. However, considering how expensive such surgery is, most people opt for less costly solution, which takes us back to wigs. They are both interesting and a taboo at the same time. While some wear them confidently, others feel more ashamed and uncomfortable. Luckily, wigs are just another product that companies have been improving to perfection and today hair loss victims have a choice between natural human hair or synthetic hair wigs. But which one is better? When comparing synthetic and human hair wigs in terms of cost, the first thing that pops into your mind is that anything synthetic is cheaper. Well, you are relatively right. Most synthetic hair wigs tend to be priced lower due to the materials they are made of. On the other hand, some synthetic materials are more expensive than others, thus some synthetic wigs may even be more expensive then the ones made out of natural human hair. Aside from low cost, there’s another benefit of synthetic wigs. Women who have busy daily schedule and have little or no time to worry about hair styling, prefer buying several synthetic wigs over any other hair loss treatment. Plus, with such good deals internet retailers offer, they can easily access different sites and browse a diverse range of wigs online. Compared to human hair wigs, synthetic wigs are a longer lasting hair loss solution because they have longer time-tested color durability. It is not necessary to explain in detail why natural hair wigs are more expensive. 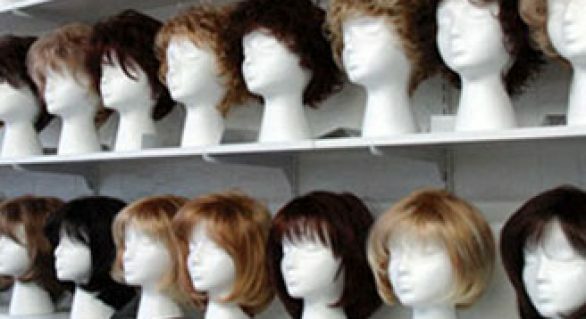 It is enough to point out that they come in limited supply to know these types of wigs are more expensive hair loss solution. Nevertheless, with a solid product research you may find some good deals on human hair wigs online. 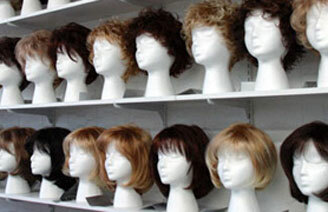 As mentioned earlier, human hair wigs are a perfect alternative for hair replacement. They retain a natural look and require same hair care and styling routine as your own hair. Anything you use on your own hair you can use on human hair wigs as well. Unlike synthetic hair wigs which are sensitive to heat and can be set on fire really fast, human hair wigs are more reliable and durable as they are more heat resistant.